Questions? click here to submit inquiry. To learn more about I.T.M.I., click here. 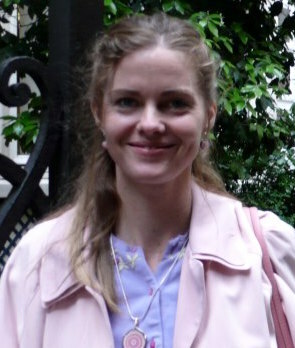 Dr. Olivia Rosewood holds a Doctorate of Divinity, did her undergraduate work at the University of Southern California, and her graduate work at Yo San University of Traditional Chinese Medicine. Olivia is a meditation guide, Tai Chi gold medalist, and author. While at Yo San University, she was drawn to the meditation and Qi cultivation aspects of traditional medicine. With delight, she discovered the supportive community, institutes, and degree programs of College of Tao, the older and more spiritual "sister school" of Yo San University. Olivia is honored to facilitate the teachings of Dr. Mao Shing Ni, Dr. Daoshing Ni, and Om Ni. The living lineage of the Ni family is a thriving treasure of spiritual wisdom and depth. Olivia is delighted to serve, connect, and raise awareness while assisting College of Tao in reaching its highest potential and purpose. InfiniChi Medical Qi Gong is an ancient healing modality, sometimes referred to as "acupuncture without needles". To learn more, click here. Arnold Tayam is an internationally recognized Master Instructor and a graduate of Haidian University of Beijing, graduate of the International Institute of Medical Qigong, Director of The Longevity Center, served as Professor of Medical Qigong at Five Branches University, and is a featured instructor and designer for several professional Qigong and Tai Ji works, video and book publications. Professor Tayam teaches for universities, hospitals and clinics, including Stanford University CIM, SCSP, and IVF. He also has served on the Board of Directors for the National Qigong Association.As Dean of The Infinichi Medical Qi Gong Institute, with over 30 years experience, Dr. Tayam conducts a Clinical Medical Qigong practice, offering private Medical Qigong healing sessions, as well as private instruction and classes in Chinese Medical Qigong, Tai Ji Quan (Tai Chi), Bagua Zhang, Yi-Quan and the Taoist arts. ​To learn more about C.H.I., click here. 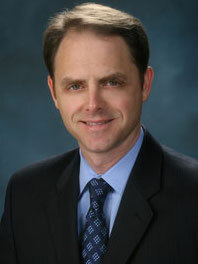 Dr. Joseph Miller is an Associate Professor of Pathology and Laboratory Medicine at the University of California, Los Angeles (UCLA), Geffen School of Medicine, Division of Integrative Anatomy. Dr. Miller is the Dean of the College of Tao Degree Program. He is also Director of the CHI Health Institute, a Master Instructor of Harmony Tai Chi, and a Senior Instructor of Dao-In. He teaches Harmony Tai Chi at the UCLA School of Medicine and has conducted workshops, classes, and retreats across the country. InfiniChi Energy Healing is an ancient healing modality, sometimes referred to as "acupuncture without needles". To learn more, click here. Edward Sullivan has been in the Healing Arts for 30 years. In the early 80’s he migrated to Los Angeles, California where he met Hua-Ching Ni, a Taoist Master. Edward began studying Taoism and eventually became a “Mentor” in The Integral Way Society. He became a Senior Instructor through C.H.I. and has taught Fundamentals of Taoism and various QiGong classes at Yo San University of acupuncture for the past 15 years. In 2007, Edward became a Certified InfiniChi Teacher, and currently teaches the InfiniChi Energy Healing Program at Yo San. He also practices InfiniChi at the “weSpark” cancer support center in Sherman Oaks and at his office in Chatsworth. The past four years has taught a Self Healing Qigong class at the Jennifer Diamond Cancer Foundation. Ed also has a private Energy Healing practice in Chatsworth. He lectures at hospitals, support groups and therapist retreats. He did his undergraduate work at Northern Illinois University, earning a Bachelor of Science degree, and he did his graduate work at Northwestern University, earning a Master's degree in the Arts. Ed considers himself very fortunate to continue to study with the Ni family. Amy Stoehr is a gifted organizer, connector of people, and wealth of positive energy. Not only does she have seemingly endless energy, but she has the ability to make hard work and long hours seem effortless. Along with organizing and assisting the vast array of flowing activities happening at College of Tao, Amy is also a meditator, practicing many Ni forms of energy cultivation and moving meditations. Her understanding of the practical use of human energetics deepens every day as she works toward her Master of Science degree at Yo San University. To learn more about A.T.P., click here. Peter Stege, D.O.M. began his study of Taoism and Taoist movement arts with Tai Chi Chuan at the University of New Mexico in 1973. In 1985 he began his study of Ni Family Earth Style Tai Chi and Eight Treasures in Taos, New Mexico. 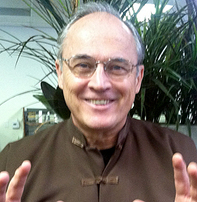 He has studied with several Tai Chi teachers in Santa Fe, New Mexico since the 1980’s. He is currently certified by CHI Health Institute in several forms. Peter has completed the Infinichi medical Qi Gong program with Arnold Tayam through COT and is Dean of the Advanced Traditiaonal Practice Program (ATP) of College of Tao. In December, 2014 he retired from his TCM medical practice and in 2016 he and his wife, Jody, moved to Reno, Nevada to be closer to 2 of their sons and 4 of their grand-daughters. They now host a monthly study group and Peter teaches Eight Treasures, Harmony Tai Chi and Tai Chi Sword. He also helps to coordinate Dr. Dao’s monthly Telestudygroup. To learn more about C.H.I., click here. 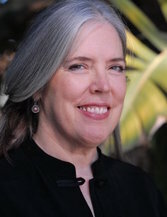 Laraine Crampton, DAOM, LAc., practices acupuncture and Chinese medicine in Santa Monica, California. Dr. Crampton is on the academic and clinical faculties at Yo San University of Traditional Chinese Medicine, and is Department Head and a faculty member in the Qi Cultivation Program at the university. Certified by the CHI Health Institute as a qigong and meditation instructor in various forms, also a Taoist Mentor, she is a Life Coach in the Path of Constructive Living system. Dr. Crampton’s responsibilities as Associate Dean for CHI Health Institute currently include special projects, particularly as liaison to sister organization Yo San University’s master’s and doctoral programs of study. Infinichi Life Coaching uses the wisdom of the 5 elements and 5 healths to bring a balanced, full life to fruition. To learn more, click here. Since 1998, Mr. Christman has worked with Fortune 500 and mid-size companies to advance and elevate organizational performance through individual achievement. He provides consulting services that bring individuals and teams to a point of performance breakthrough utilizing his specialized skills and experience in Neuro-Linguistics, assessment (individual and organizational) and Leadership and Team Development. He and his strategic partners bring the expertise needed to develop and execute organizational growth strategies. Phillip has completed the MIT Executive Program in Business Dynamics which utilizes System Dynamics in solving complex business problems and helps organizations develop effective strategies, implement and manage change initiatives.